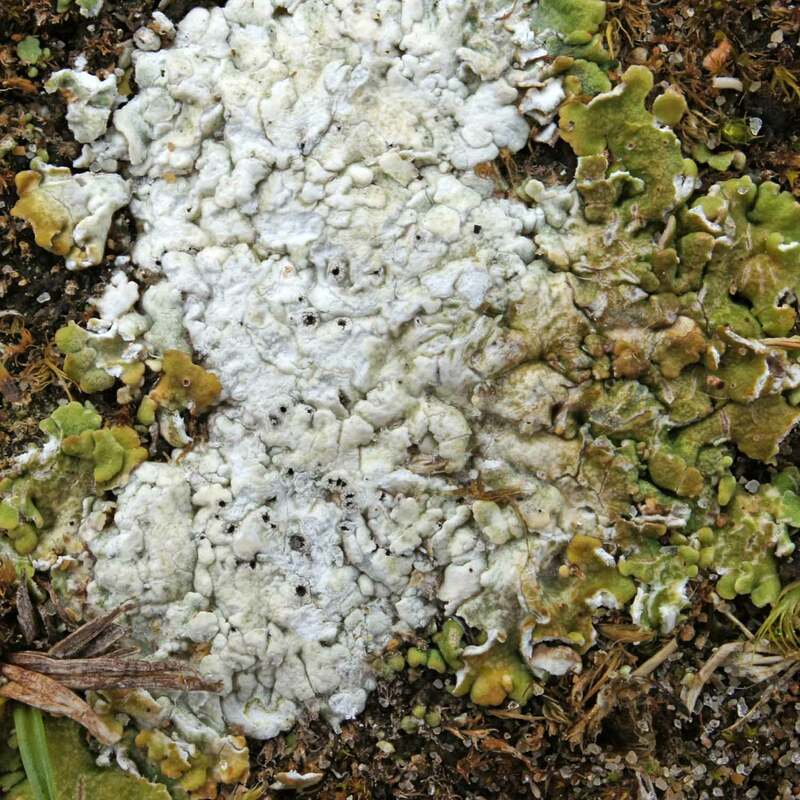 Thallus crustose, superficial, sometimes weakly areolate, white to pale grey to chalk-white, occasionally slightly yellow-tinged, often verrucose or scabrid but not pruinose, usually clearly delimited with a white prothallus. 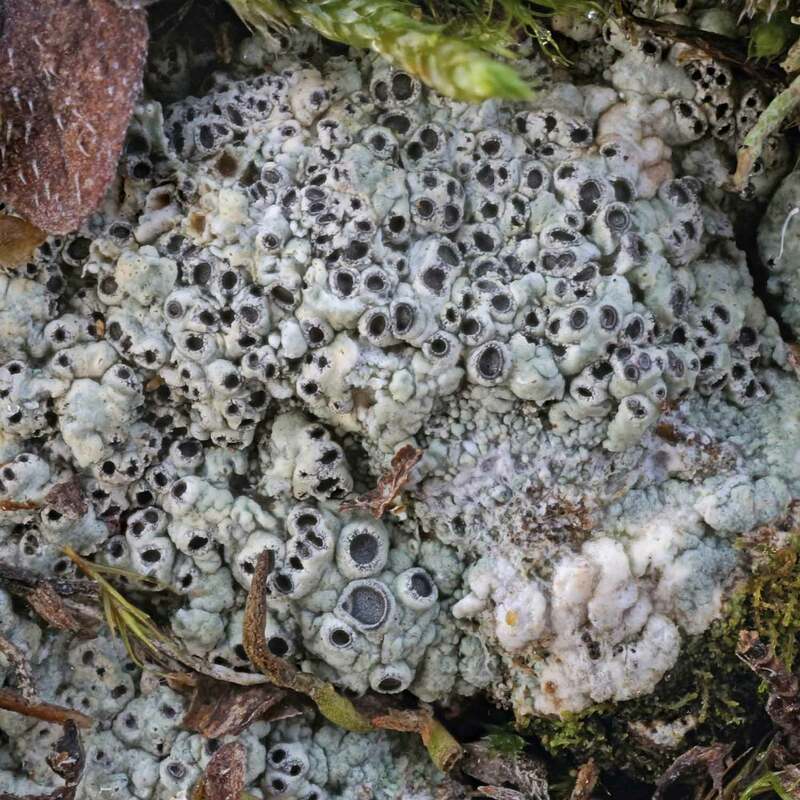 Teleomorph: ascomata apothecia, 700-1200 (-1500) µm diam., urceolate and initially immersed, the thallus tissues surrounding the erupted apothecia thick and irregular but usually not appearing toothed. Disc dark grey to black, ± densely white-pruinose. Hymenium 75-120 μm tall, hyaline, staining blue in iodine. Hypothecium dark brown. 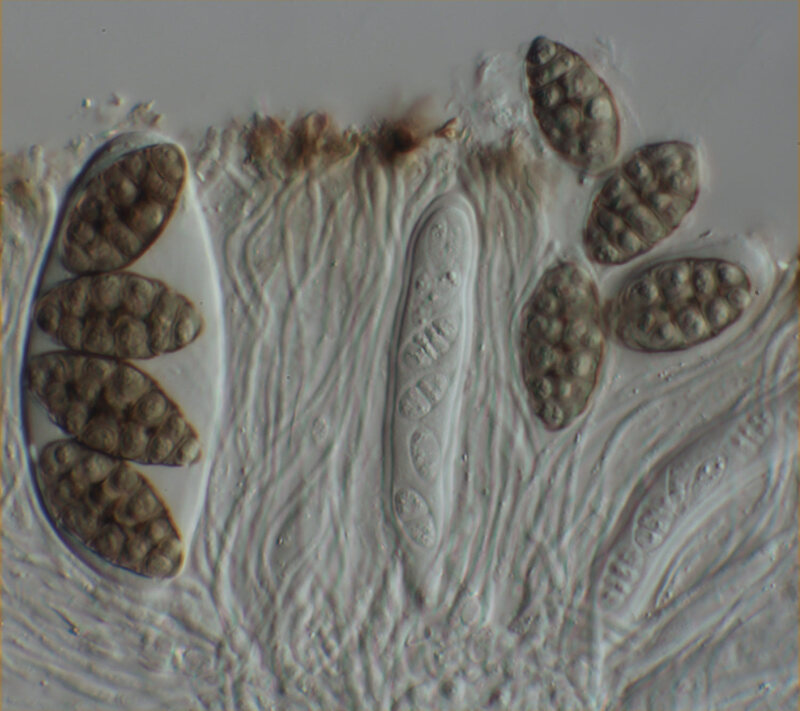 Interascal tissue of usually unbranched paraphyses with slightly swollen, brown tips aggregated into an epithecium. Asci 75-95 × 18-27 (-35) μm, cylindrical when young but clavate-ellipsoidal when mature, Lecanora type, 4-spored. Ascospores (20-)23-29 (-35) × 12-16 (-18) μm, muriform and distoseptate with 4-5 transverse and 1-2 longitudinal septa, dark grey to grey-brown when mature, smooth, without an epispore, gelatinous sheath or appendages. Chemistry: C+ red, K- or K± yellow or red (diploschistesic acid always detectable by TLC), Pd-, UV- (diploschistesic and lecanoric acids).